We are as close as a phone call! With so many options out there for vehicle repair, you need a garage with the knowledge and equipment to handle any project. Return your vehicle to its pristine condition at our auto body shop in Portland, Oregon. Since 1978, Diamond Coat Auto Painting & Collision Center has been delivering outstanding service and results. From reversing the damage from any accident to touching up your paint job, we do it all. Trust our decades of experience to take exceptional care of your car, truck or SUV. You have the right to take your vehicle anywhere. Don't give your money to out of town based corporate companies. Keep your money local where people actually care about you! Everyone wants their vehicle to be in the best hands. That's why each auto body mechanic at our garage is certified to work on any car, truck or SUV. We stay on top of the latest information to deliver superior results each and every time. As part of our dedication to quality, our body shop features I-CAR™ certified and ASE™ certified mechanics. Every car needs something different after a collision or accident. Some need full suspension realignment while others just need a fixed bumper. Each auto body mechanic with us takes a client-focused approach to each job. This lets us provide the exact services you need to have a great looking vehicle again. Our staff also works with your insurance company after an accident. So many questions pop up after being in a wreck. Let our staff help you through the claims process and answer any concerns you have. We work hard to save your deductible. 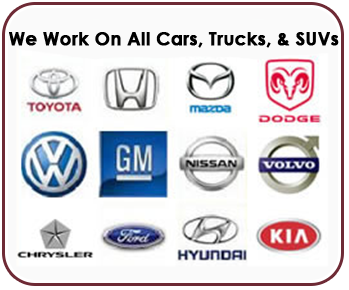 While restoring beautiful cars, trucks and SUV's, we also improve the safety of your vehicle. Accidents often compromise the integrity of certain parts. Trust our auto body shop to get your vehicle ready for the road again. We take time to inspect each aspect and make sure it's safe and runs well. You won't have to worry about problems cropping up after getting your car, truck or SUV back from our skilled mechanics. Contact our auto body shop to get your vehicle back into great shape. We proudly serve clients in Portland, Milwaukie, Gladstone, Oregon City, and Gresham, Oregon, including the surrounding areas. after any accident at our garage. We are as close as a phone call away! Monday - Friday, 8:00 a.m. to 5:30 p.m.
630 NE Martin Luther King Jr. Blvd.